If you’re getting married soon or looking for a unique, elegant yet exciting way to bring your guests together and ensure everyone has a great time, why not hire a fun casino? With a fun casino at your wedding reception, you can be sure your day goes with a bang, creating memories that will last you and your guests a lifetime. …a wedding casino is a fantastic way to get friends and strangers in a group talking, laughing, joking and interacting with each other. At a wedding, it’s not uncommon for the newly joined families to meet for the very first time. When you hire a wedding casino, you offer all your guests the opportunity to mingle with each other without feeling embarrassed or self conscious. It’s impossible to stay sensible when you’re playing our casino games, and inhibitions are lost almost immediately. We understand just how important it is to make sure your wedding day runs smoothly and without any unnecessary distractions. With that in mind, we will arrive at your wedding reception venue nice and early and set up the tables ready for your guests as and when they arrive. We’ll do everything in our power to make sure your wedding reception is smooth running and a lot of fun for all your guests. 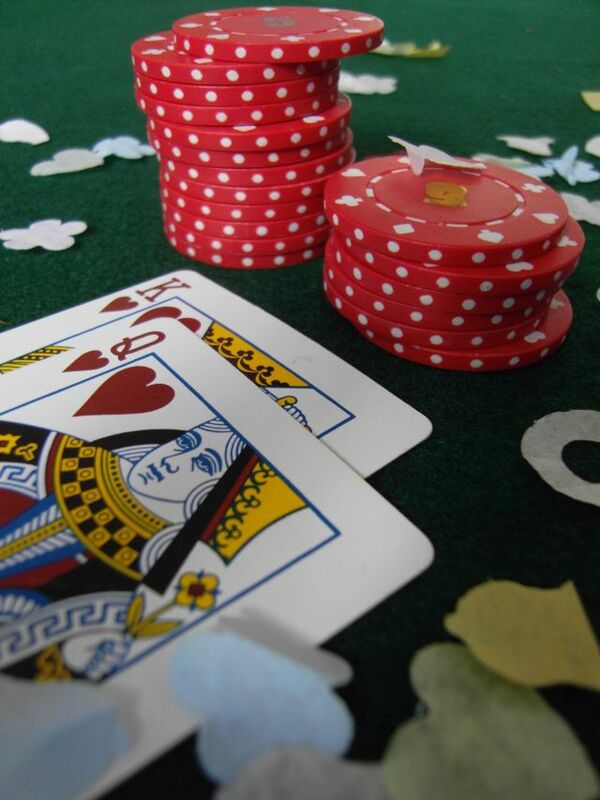 We’ll set the fun casino tables up long before the wedding if necessary, so that all you have to do is relax and enjoy your wedding day without having to worry about the details. We’ll happily fit ourselves around your special day, starting exactly when you want us to start, and clearing away quickly and discreetly when we are done. If clearing away will detract from the atmosphere of your day in any way, arrangements can be made to leave the tables at the venue overnight to be collected the next day. ing fun casino tables can help to smooth over any intervals in the day, such as when photographs are being taken, or when the venue is being made ready for the evening entertainment after the wedding breakfast. It’s a great way to ensure that your guests are being entertained at all times. Our full size roulette and blackjack tables can be set up in one corner of the room to offer guests the opportunity to chat and mingle with a glass of wine in between dances and keep the atmosphere electric throughout the night. A disco or a DJis a great way to entertain your guests, but for those who do not like to dance or are to shy to, there’s really not much to entertain them. A fun casino is a great addition to the night as it entertains guests of all ages and both sexes. It’s a great way to entertain members of your family who you know will not want to dance at the reception. Hiring a wedding fun casino shows your guests you’ve really thought about them and have made a real effort to ensure they all have an incredible time. Fun casino tables have a buzz of excitement surrounding them when in play. You can be sure to heighten the atmosphere of fun and enthusiasm at your wedding reception that will be felt by all your friends and family. It’s a great way to keep the party atmosphere alive right through the night, especially amongst the lads who would otherwise be propping up the bar! Fun casino tables look really elegant and sophisticated inside any venue. Casinos are often associated with James Bond and Hollywood, so there’s an atmosphere surrounding them even before the games begin. If you are considering having a fun casino at your wedding, why not get in touch and tell us a bit about your requirements? We’ll be more than happy to offer you a detailed quote, with absolutely no obligation to book. We promise not to bombard you with “follow up” emails if you decide against having a fun casino at your wedding reception. This is your day, and it’s important you get the atmosphere completely perfect for you and your guests. Hopefully, we can help you do just that.